In this book, The Boston Consulting Group’s Martin Reeves, Knut Haanæs, and Janmejaya Sinha offer a proven method to determine the exact strategy approach that is best for your company. They start by helping you assess your business environment—how unpredictable it is, how much power you have to change it, and how harsh it is—a critical component of getting strategy right. 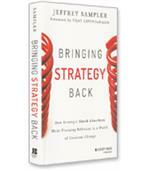 Which strategy is the right strategy for your company? How to make the choice is brilliantly addressed in a new book from three Boston Consulting Group senior partners: Martin Reeves in BCG’s New York office, Knut Haanaes in Geneva and Janmejaya Sinha in Mumbai. 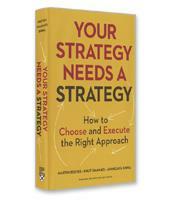 In their book, Your Strategy Needs a Strategy: How to Choose and Execute the Right Approach, Reeves, Haanaes and Sinha identify just five different types of competitive environments, and the corresponding strategy that works for each. The story of Novo Nordisk in China illuminates how a company can take advantage by pursuing a strategy that perfectly fits the environment. Danish pharmaceutical giant Novo Nordisk controls 60 percent of the insulin market in China, which means that nearly 60 million diabetes patients are taking Novo products. Novo’s market share is twice that of its nearest competitor. How did Novo establish such a strong and lucrative stronghold in China? According to the authors, Novo was the key player in shaping the market. When Novo came to China in the early 1990s, diabetes awareness was very low. Novo worked with the medical community, the Chinese Ministry of Health and the World Diabetes Foundation to educate the country about diabetes. It reached out to patients as well, established its first production site in China in 1995 and an R&D center in China in 2002. Novo recognized the untapped potential of the insulin market in China and working with the major stakeholders in the country was able to shape the market to its advantage. Classical: I can predict it, but I can’t change it. The best strategy for the classical environment, the authors write, can be summarized as be big. The competitive environment is stable and predictable. Competitive advantage is built by the company’s positioning in the environment. This is achieved, write the authors, by “superior size, differentiation, or capabilities.” This strategy calls for companies to analyze the environment, plan the best positioning strategy, and execute it. Adaptive: I can’t predict it and I can’t change it. In this environment, the most effective strategy, according to the authors, is to be fast. The rules change quickly, and the most successful companies are those who can vary their approach to create several strategic options, select the best option at the right tie and scale it up. Visionary: I can predict it, and I can change it. 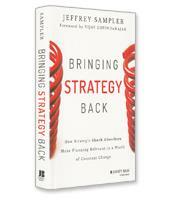 The strategic imperative for the visionary environment, write the authors, is to be first. Successful companies envisage the possibility of the market, are the first to build that possibility, and persist in executing and scaling the vision. Shaping: I can’t predict but I can change it. The key to success in the shaping environment is to be the orchestrator. Novo succeeded in the shaping environment, the authors explain, by engaging stakeholders to create a vision of the future, building a platform through which it could orchestrate the collaboration of all stakeholders, then evolving that platform by scaling and maintaining the flexibility of the platform’s stakeholder ecosystem. Renewal: My resources are severely constrained. Finally, the only strategy that will work in a renewal environment is to be viable. The key, write the authors, is for the company to react to a deteriorating environment, economize as much as possible, and then choose among the other four strategies to grow. Insightful, well written and filled with examples, Your Strategy Needs a Strategy is a crystal clear roadmap — actually five roadmaps in one — that can guide companies through the most challenging of competitive environments.